Peruse our eclectic mix of green sofas online or in store. 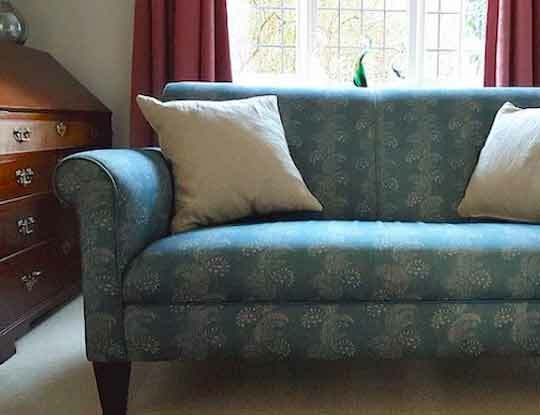 All our couches are handmade and upholstered in some of the finest British fabrics around. Whether shades of peridot, sage or moss appeal to you, a bright and bold green sofa will have you thinking of sunny spring days. Imagine your décor ideas added to with a lime chesterfield sofa, jam-packed with statement style, or perhaps a perfectly practical pea-green sofa bed for surprise stopovers. Squashy shades of fennel on corner sofas are just the ticket for family time or choose an armchair in a calming fern hue for something a little more soul soothing. Whether you’re looking for contemporary sofas or a more traditional style, there is a shade of green sofa to suit all interior tastes. Any of our bespoke, British sofas can be covered in your favourite tone and with expert advice available in both our showrooms and online you’re sure to find exactly what you’re looking for. 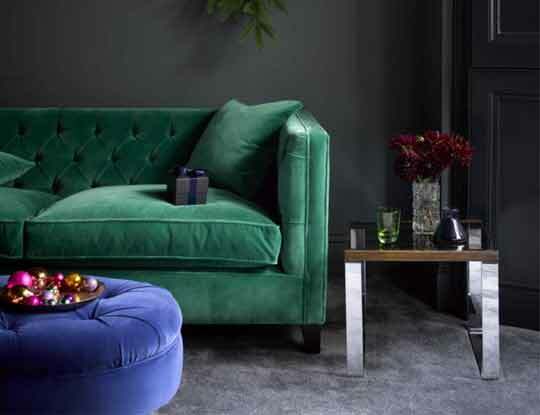 Nothing screams statement style like a luxury green velvet sofa. It is perhaps no wonder then why we have seen more and more customers coming to see us, requesting green fabrics. Green seems to the be the new black if you beleive what the home magazines say. However here at S&S we beleive you should love your sofa, no matter what other people think. But if you really are stuck for style ideas, you can always book an interior design appointment and have one of our consultants guide you through the sofa buying process. They can help with everything from choosing the right fabric, to selecting a stylish shape. Why not order some free green fabric samples pack, so you can see the high quality fabrics we offer.